Param Vir was born in Delhi, India. His mother was a poet and distinguished vocalist, his father an electronics engineer and mathematician, - and Vir's formative years at home were steeped in Indian classical music. Piano lessons began at the age of 9 and composition lessons followed at the age of 14. It was through these avenues that Param Vir was first introduced to contemporary music in the western idiom - an introduction that immediately kindled a belief and passion in the young composer that has never abated, and continues to inform his entire creative output. Vir's early work in composition aroused the interest of Sir Peter Maxwell Davies who invited him to the Dartington Summer School in 1983 on a scholarship. Under the encouragement of Sir Peter Maxwell Davies, and with the financial support of a Fellowship from the Inlaks Foundation, Param Vir moved to London in 1984 to study composition with Oliver Knussen. Within three years of his arrival in London he had won the Benjamin Britten Composition Prize (Aldeburgh), the Kucyna International Composition Prize (Boston), the Tippett Composition Award (Dartington) and the Performing Right Society Composition Prize (London). His works have been performed, among others, by the Asko Ensemble, The Schoenberg Ensemble, London Sinfonietta, London Sinfonietta Voices, BBC Symphony Orchestra, BBC Philharmonic Orchestra and Ensemble Modern. Param Vir has also studied composition with Jonathan Harvey and Randolph Coleman. His two one-act operas - 'Snatched by the Gods' and 'Broken Strings' were commissioned by Hans Werner Henze for the 1992 Munich Biennale, in a production by Pierre Audi and Netherlands Opera. 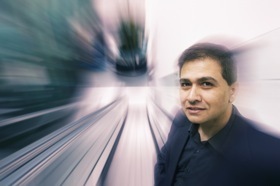 The following year Param Vir received the composition prize from the Ernst von Siemens Stiftung (Munich) for the double bill. These operas were then produced by Almeida Opera in July 1996 in a new production with the London Sinfonietta conducted by Markus Stenz. In 1993 the Park Lane Group featured his work for solo guitar, 'Clear Light Magic Body' at the South Bank Centre, London. His major work for orchestra 'Horse Tooth White Rock', commissioned by the BBC Philharmonic, was given its world première in March 1994, under Sir Peter Maxwell Davies and its London première at the BBC Maida Vale Studios on February 25, 2003 with the BBC Symphony Orchestra, conducted by Jurjen Hempel. Other works include 'Before Krishna' (1987), 'Brahma, Vishnu, Shiva' (1988), written for the London Sinfonietta Voices, 'Tender Light' (1996) an elegy for viola da gamba, 'The Comfort of Angels' (1996) for two pianos, 'Gift' (1996) for solo flute commissioned by the Almeida Theatre and 'Flame' (1997) for solo cello for the Munich Biennale. In 1997 the Berlin Festival commissioned a substantial and powerfully moving work for six percussion, baritone and piano, 'Ultimate words: Infinite song' based on the texts of the Danish resistance fighter Kim Malthe-Bruun. Param Vir's double bill opera 'Snatched by the Gods' and 'Broken Strings' is now established within the contemporary repertoire, with three new productions taking place: with Scottish Opera in Glasgow and Edinburgh in 1998 and the Berlin State Opera and Vienna in 1999. A revival of the original Pierre Audi production was given by the Transparant Opera Company, with several performances taking place in February 2001 in Antwerp, Rotterdam and Rouen. Since its world premiere in 1992 this double bill has been much acclaimed by audiences and critics alike. Param Vir's first full length opera - ION - was commissioned by Aldeburgh Almeida Opera and received its first performance at the Aldeburgh Festival in 2000. The first full production of the opera was staged in 2003 in a co-production between Music Theatre Wales, the Berliner Festwochen and Opera National du Rhin. The premiere launched the latter's 2003/4 season with a series of seven performances, before moving on to the Berlin Festival, the Linbury Studio of the Royal Opera House, Covent Garden, and touring around the UK. Other notable works include ULTIMATE WORDS: INFINITE SONG, for baritone solo, percussion sextet and piano, which was commissioned by the 1997 Berlin Festival. The piece is inspired by the writings of the Second World War Danish resistance hero Kim Malthe-Bruun. THE THEATRE OF MAGICAL BEINGS was commissioned by Birmingham Contemporary Music Group in 2003 and described by one critic as a "virtuosic and hugely enjoyable, life-affirming work". More recently, the Schönberg Ensemble commissioned and gave the first performance of HAYAGRIVA at the Muziekgebouw aan't IJ in Amsterdam in December 2005. Other performances have followed in Warsaw, Berlin and Vienna by Klangforum Wein and in Chicago by Fulcrum Point. Param Vir completed a major new work on commission from the BBC Symphony Orchestra based on Anish Kapoor's sculpture Cloud Gate. BETWEEN EARTH AND SKY was premiered by the BBC Symphony Orchestra on November 24th 2006 at Hammersmith Town Hall to much acclaim. More recently completed is a new song cycle WHEELING PAST THE STARS premiered by Particia Rozario (soprano) and Rohan de Saram (Cello) in Stuttgart in November 2007. Two new works were developed and completed in 2008: HE BEGINS HIS GREAT TRANCE is a 21-minute choral version of an earlier work 'Brahma, Vishnu, Shiva' written for the BBC Singers, and BLACK FEATHER RISING, a 90 minute work of music-theatre that was premiered by Stichting Octopus in the season 2008-09 in Holland. May 2009 saw the world premiere of a new work for the Orchestra of the Swan: A SPREAD OF DREAMS, conducted by David Curtis. New works in the pipeline for the coming season include a commission for cello and percussion for the Sound Festival in Scotland, and a new work for the Birmingham Contemporary Music Group, for a premiere in the Barbican in April 2010.